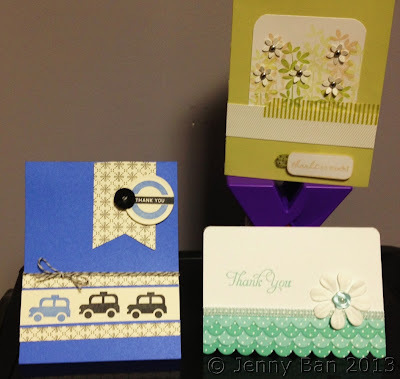 Jenny Ban Creates: Thank you, thank you! Book fair week, and I am super busy! But I hope you will join me for class tomorrow night at 7:30 p.m. in Buffalo Grove to make these three Thank You cards. If you think you spy some new A Muse Studio product, you are right! Contact me to attend class--3 cards and a sweet treat for $15. Hope to see you there!